We held a morning program with about fifty local devotees in a park in Novorossisk. Govinda Maharaja gave class, and during his lecture I met with my local disciples. I asked an aspiring woman disciple, who lives outside the temple, what type of work she did. She hesitated at first and then said she worked as a nurse in an abortion clinic. She said she didn’t help with the abortions, but simply took care of the patients afterwards. I told her she had to find another job immediately. In order to giver her time to find other work, I arranged to give her money, as she supports her husband and three children. During our discussion she revealed the horrors of the abortion clinic. Sometimes when doctors perform abortions during the seventh month of pregnancy, the child comes out alive, often crying. Again I was shocked. “What do the doctors do with the child?” I asked. “They kill it,” she replied. While I was speaking to my disciples, Govinda Maharaja finished his class and took a short walk in the park with Sri Prahlada and two of his own disciples who have joined our tour from India: Vinoda Bihari dasa from Ukraine and Krsna Prasada dasa from Nepal. While they were sitting on a park bench, a curious thing happened. They were approached by a well-dressed man who told them that he knew our movement was under scrutiny by the FSK and that the FSK would soon make a move against us. When the devotees asked how he knew this, the man replied that he had worked in electronic surveillance for the KGB for ten years and that he maintained contact with his friends who were part of the FSK. He asked what we were going to do if the FSK cracked down. 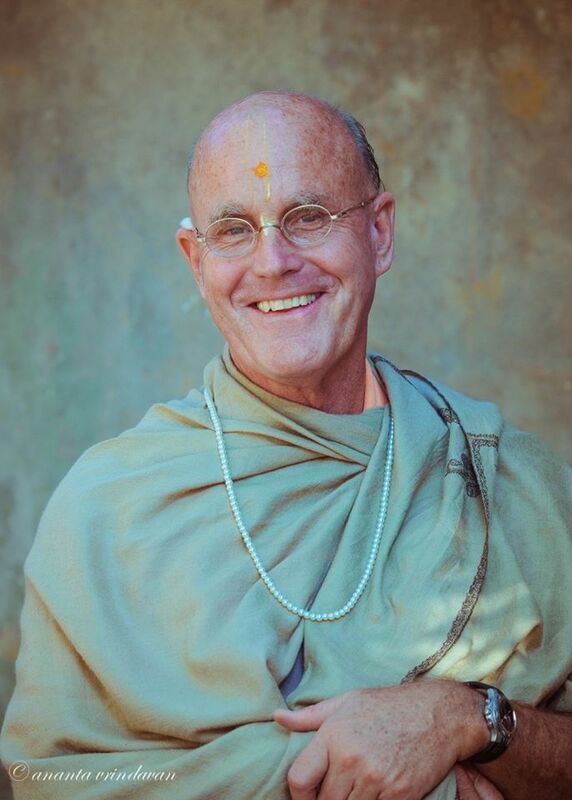 The devotees immediately understood he was an FSK agent trying to gain their confidence in the hope they would tell him what they knew about ISKCON’s strategy. “We’ll depend on God, Krsna,” Sri Prahlada said. “To say that you’re neither for something nor against something means that you are against it,” the agent said. This didn’t have anything to do with the immediate discussion, but the devotees knew why he had said it. It was the philosophy the government was preaching to their agents: anything that is not part of Russian heritage and Russian ideology is against it. The conversation continued, but the devotees were careful not to say anything that would reveal what our movement planned to do. When Govinda Maharaja told me about the incident, I felt uneasy. The situation was becoming as it was six years ago, when I always felt that someone was watching me during my visits to Russia. Once again we were being followed and watched, once again we were at the mercy of the secret service. In 1990 they had been told to leave all religious organizations alone, but now they were investigating again. Will it become like it was? The pressure gets to you sometimes. I thought of places like Australia and New Zealand, where the devotees are free to preach. That freedom of religion is meaning more to me these days. This evening we drove back to Krasnodar to catch a flight to Azerbaijan early tomorrow. When we arrived at our apartment I checked my e-mail, and found a letter from one of my initiated disciples, where she expressed a desire to take her second initiation from another spiritual master. I always encourage my disciples to take shelter of, and inspiration from, other spiritual masters, but this came as a shock to me. At the same time I don’t want to discourage her. My desire is to see her progress in devotional service. If she is inspired by the association of another spiritual master I want to encourage her, but it must be done in accordance with Vaisnava etiquette. So I wrote to her quoting from Sri Krsna–bhajanamrta by Srila Narahari Sarakara Thakura, translated by His Holiness Jayapataka Maharaja and published by the Bhaktivedanta Swami Charity Trust.